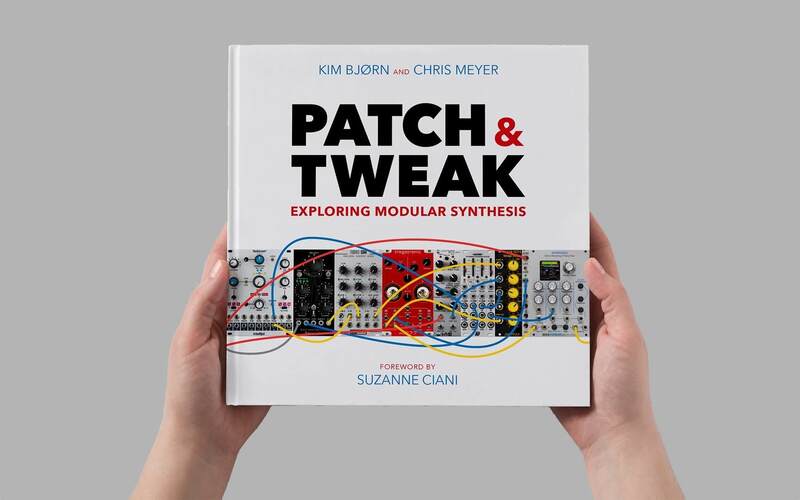 “Patch & Tweak: Exploring Modular Synthesis” includes patching guides and an introduction from Suzanne Ciani. Do you dream of wires? Fortunately for you, a new book by Kim Bjørn and Chris Meyer full of modular synth culture and techniques is set to launch on Kickstarter May 1. Patch & Tweak: Exploring Modular Synthesis promises to be a comprehensive index of the modern modular synth environment and its near 50- year history. The book will feature interviews with synth advocates like Lady Starlight and Caterina Barbieri and manufacturers like Verbos Electronics, Mutable Instruments, Make Noise, Intellijel and 4ms Company. It will also feature a foreword by the legendary modular pioneer Suzanne Ciani. A section of the book will be dedicated to various categories of modules—filters, oscillators and more—as well as diagrams and patching techniques for those who want to get started with modular synthesis. “Patch & Tweak provides an opportunity for new and experienced users to become true masters of their modular systems,” write Bjørn and Meyer. If you’re ready to jump head-first into the complex world of synthesized sound, check out the video above, and mark May 1 in your calendar to reserve a copy via Kickstarter. And for further reading on the machines that define your favorite music, watch our feature on R is for Roland on our YouTube channel below.